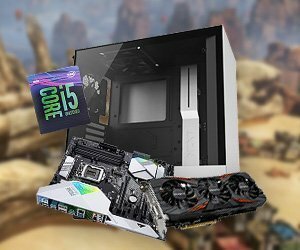 Apex Legends has become increasingly popular since it came out a while back and even though we have talked about the pre-built gaming PCs that you can buy in order to play the game, we know that some of you are more interested in building your own PC. If that is the case then you have come to the right place. Here we are going to look into the best gaming PC for Apex Legends that has been made with competitive gaming in mind. We’ve have spent several hours picking and comparing hardware to each other, until finding the best parts for a PC build for Apex Legends. We looked at specifications, affordability, manufacturer to make sure it continues to keep up to date for a long time in today’s evolving PC market. The following are the components that we are going to use for this Apex Legends gaming PC. The good thing, you don’t have to spend your own time researching and learning the technical language for being able to pick the most optimal parts. We’ve done it for you! Without further ado, let’s dive into our full review of each hardware and a buyer’s guide at the end of this article. Full of things you should look out for when building your gaming PC. The CPU is the brain of the PC and is going to be in charge of sending and receiving all kinds of commands. That is why you need a decent CPU in order to play Apex Legends. 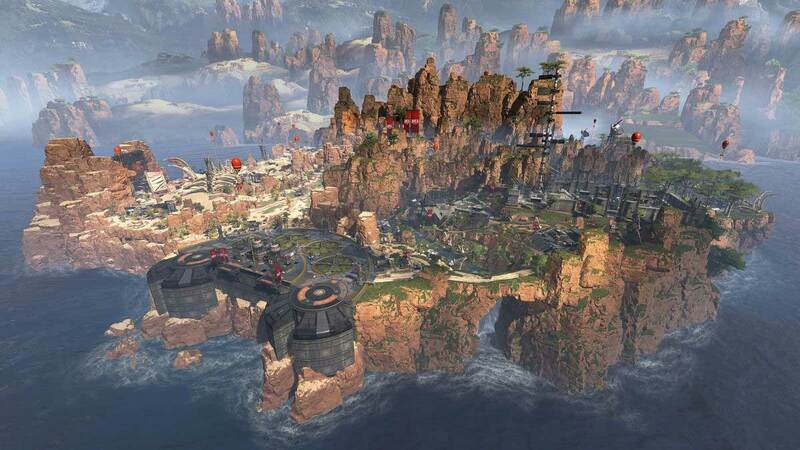 While Apex Legends is not a CPU intensive game, you are going to need some headroom if you are interested in playing the game at higher resolutions. If you are planning on playing the game at 1440p or 4K then you will need a decent CPU that can keep up with your graphics card. This is a competitive title so you might be inclined toward higher refresh rates rather than higher resolution. Whatever case it may be, having a decent CPU is great and will future-proof your system. Obviously, you are not going to only be playing Apex Legends on your PC. This CPU will let you play other games and run other programs as well. The Intel Core i5-9600K comes with 6 cores and 6 threads which is pretty much all you need for gaming. The additional cores and threads will come in handy if you are interested in video editing and other CPU intensive tasks. It can also come in handy if you are a heavy multi-tasker. This is more than enough for gaming. The base clock speed of the CPU is 3.7 GHz and it can boost to 4.6 GHz. That is not all, this is a K series CPU which means that it has an unlocked multiplier and that you can overclock it beyond the mentioned frequency. With a decent cooler, you could get it to 5 GHz with ease. The CPU does come with UHD 630 integrated graphics but you will need a dedicated graphics card in order to play Apex Legends. The CPU also supports Intel Optane memory which can be used to accelerate the speed of storage devices. K series CPUs do not come with coolers and that is why you need one. You are going to need a decent one especially if you are interested in overclocking. The Hyper 212 Evo is a great option to consider. It is not too big like some other coolers that are available on the market and will make installation much easier. RAM clearance will also be much easier compared to beefy coolers. The cooler comes with 4 direct contact heat pipes that create a sleek surface for heat conduction. The cooler comes with a single fan but you can install a second one for push-pull configuration if you want. The fan voltage is 12V and the noise that it produces ranges between 9-36 dBA. This will depend on the speed of the fan which ranges between 600-2000 RPM. The cooler provides impressive cooler and looks great too. This model does not come with LED fans but there is another version that does. You can also use any aftermarket 120mm fans that you want. The Nvidia GTX 1070 might not be the most powerful graphics card on the market right now but it is very reasonable for playing Apex Legends on PC. At 1080p you can play the game at more than 80 FPS. Turn the resolution up to 1440p and the performance drops to 60-65 FPS but this is still ideal for playing Apex Legends. If you are a competitive player and need the additional FPS then you can turn some settings down in order to get to 120 FPS at 1080p but the performance boost will not be as significant at 1440p. The Gigabyte GTX 1070 G1 is a custom card which comes with a triple fan cooler, unlike the blower style reference design mode. This means that it can keep the temperature in check and that you can do some serious overclocking in order to get even better performance out of the box. If you turn the resolution up to 4K the card can run the game at 35-40 FPS on the ultra preset but turning down a few settings will get you closer to the 60 FPS mark. Now that the RTX series of graphics cards are out you can get the GTX 1070 at a discounted price which makes them even better value for money. The card is meant for 1440p gaming so you should stick to that resolution or play Apex Legends at 1080p if you are interested in keeping a bit of headroom. The Gigabyte GTX 1070 G1 comes with 8 GB of GDDR5X memory which is plenty for gaming at 1440p. This model comes with RGB lighting as well. If you have other components with RGB lighting then you can sync the lights. Other than that it is recommended that you use a 500W power supply as the bare minimum in order to provide the graphics card with enough power. For memory, we have the Corsair Vengeance LPX memory which is a staple when it comes to gaming builds. While 8 GB is the bare minimum for gaming you should have 16 GB just in case. You should have headroom for other applications that are running in the background and it is always great to have some additional memory for multitasking as well. 16 GB of memory should be enough for playing Apex Legends. The Corsair Vengeance LPX can run at 3000 MHz and has been designed with overclocking in mind. If you are interested in overclocking then not only can you overclock your CPU and GPU but your memory as well. Asus makes some of the best motherboards that are available on the market and that is why we have picked the ASUS Prime Z390-A for our Apex Legends custom build. You need Z series motherboard in order to overclock a K series CPU and that is one of the reasons why we have picked this motherboard. Not to mention how well built and beautiful this motherboard.is. The motherboard comes in Silver and Black and also has RGB lighting just like the graphics card. You can sync the lighting of both components and customize it according to your preference. The motherboard comes with multiple M.2 slots as well as USB 3.1 ports for fast storage and data transfer speeds. The motherboard also features Asus Optimum II for better DRAM overclocking and stability. The PCIe slots are reinforced in order to support the graphics card better. It also supports smart overclocking for the CPU. Other features include Safe Slot Core, LAN Guard, Overvoltage Protection. Asus does charge a premium for its products but with such features, you can rest assured that your hardware is safe and protected. There are a couple of fan connectors on the board that allows you to customize how your fans work. You also have an RGB header that allows you to sync different components with the motherboard. The motherboard also offers 8-channel HD audio for an immersive experience when gaming. You will need high-speed storage for Apex Legends and that is where the Samsung 860 EVO comes in. The drive provides Sequential Read/Write speeds up to 550MB/s and 520MB/s respectively which means faster boot times and quicker loading in game. 500 GB should be enough for the OS and a couple of games but you can add more storage down the line. The all Black drive looks really great and there is a Samsung logo on top. The drive will blend in well with the rest of your build but you won’t be able to see it in the case that we have included here. You will need a decent power supply in order to provide enough juice to the CPU and the graphics card. Keep in mind that the CPU, GPU and RAM are all overclockable so you do need some headroom. The recommended PSU for the GTX 1070 is 500W so we have included a 550W power supply to be on the safe side. If you are going to overclock your CPU and RAM then you are going to need this headroom. This is a semi-modular power supply so cable management will be easier. The case that we have included hides the power supply which is an additional plus point. All things considered, this should end up to be a very clean and aesthetically pleasing build, once you are done. The PSU is rated 80 PLUS Bronze which means that it offers higher efficiency compared to traditional power supplies and it does not dissipate excess heat and has lower operating costs. You should have a proper PSU for your high-end components and this is the one that we recommend for this kind of a PC build. The NZXT H500 is one of the most beautiful cases on the market right now. The case is available in multiple colors and there is a special Overwatch edition as well but for the purpose of this build, let’s go with the Black and White option. This will match the motherboard, the CPU cooler, the RAM and the graphics card. All of your build will come together and will look pleasing even if you do not have any RGB lighting on. The PSU is covered so that you cannot see the wires. There is a tempered glass side panel so that you can show off your hardware and take advantage of the RGB lighting that you have installed. There is a fan at the rear and one at the top but you can install additional ones at the front as well. You can also install and 240mm radiator if you are interested in water cooling your system. The case not only looks great but is built well too. This is a sturdy ATX case that can house your components with ease. While building your own gaming PC, there are some important things to know. In this buyer’s guide, we’ll explain each and every hardware in a PC, so you know what each part do. Also, some of the differences between some common parts you’ll most likely stumble upon while acquiring parts for your PC. PCs are supposed to input, process and output data very fast and that is why they need impressive CPUs that can keep up with the workloads. You can make do with CPUs that have 2 cores when it comes to gaming but 4 cores are ideal. In 2019 games are not optimized for more than 4 cores so you can save some money by not investing in additional cores. We have included a CPU with 6 cores so that you have some headroom and so that you can use the extra cores for more CPU intensive tasks such as video editing. AMD and Intel offer CPUs that offer 2, 4, 6 or 8 cores. You can pick between the two depending on what you prefer, raw gaming power or best value for money. AMD offers better value for money but Intel offers better raw gaming performance. Gaming PCs come with dedicated graphics cards that provide the power needed to output the visuals that you see in-game. This is one of the major parts of a gaming PC and in most cases the most expensive component of a build. A general rule of thumb is that the GPU or graphics card should be the most expensive component in your build. Trying to save money on a graphics card will impact gaming performance drastically as compared to a CPU. Tall towers might give the impression of a powerful PC but that is not real. The casing does not matter when it comes to the performance of a PC. It is just there to house the PC components. In 2019 plenty of hardware that can be crammed into a smaller case. If you like to show off your build then you can go with a tower PC. If you are short on space or like smaller PCs then you can go for a smaller gaming PC case. SSDs are faster than HDDs. They deliver faster transfer speeds which result in faster boot times and reduced loading times when in-game. SSDs are smaller and take less space. Another factor to consider is that SSDs do not have moving mechanical parts so they are more durable but like every other part in your PC it does have its life span which will eventually end one day. AMD used to be the underdog in the CPU market but the Ryzen series has put the company back on track. Intel still has a small edge over AMD when it comes to raw gaming performance but AMD offers better value for money when it comes to number of cores and threads for the price. If you want the best gaming performance then Intel is the best option but if you are looking for value for money and are interested in using multiple cores for applications other than gaming as well then going for AMD CPUs is not a bad idea at all. RAM is pretty expensive and you do not want to waste money on components that are not going to affect gaming performance dramatically. If you are interested in playing modern games then 8 GB is plenty. The same is the case for Apex Legends as well but you can go with 16 GB of RAM for ideal performance. If you are only interested in gaming then 16 GB should be the maximum limit. Installing any more RAM would be a waste of money and you can invest that money in some other part of your gaming rig. Graphics cards, CPUs and RAM can be overclocked to provide additional performance as compared to the stock frequencies. K-series SKUs, like the one that we have included for this build come with unlocked multipliers which allow overclocking. To overclock a CPU, you need to have a motherboard that supports the feature. These motherboards are usually the Z series boards and that is why we have included one from Asus for this Apex Legends custom PC build. K-series SKUs do not come with stock coolers and you will need to get a third-party cooling solution. The CPUs can be cooled with an air cooler or liquid cooling, depending on your budget and preferences. For this build, we have included an air cooler that is effective for cooling your CPU even if you are overclocking but it is not overly expensive like some liquid cooling solutions that are available on the market. Overclocking a CPU is much easier than it once was, all you need to do is turn a slider all the way up but it does mean that it will consume more power and that your system might become unstable. This is something that you need to keep in mind. You should overclock in small increments in order to ensure that your system is stable. GPU overclocking works in the same way. Most modern graphics cards can be overclocked out of the box. In doing so you can get some additional performance for your money. Remember that in doing so you might get better FPS but the graphics card will also consume more power and will dissipate more heat as well. This can even mean that your graphics card will not last as long as it would on the stock frequencies. Using your graphics card every day while it is overclocked will degrade your hardware. You need ports to connect a keyboard, mouse, external HDD and other peripherals and accessories that you use. Front I/O comes in handy when you need to use a USB or external HDD. To be on the safe side you should look for USB 3.1 Gen 2 and USB-C ports so that you do not need to change your motherboard in the near future. Make sure that your case also has the respective front ports and does not bottleneck your motherboard. There are some of the things that you need to keep in mind when building a PC for playing Apex Legends. We have included the parts that we think you should pick as well. I hope that you have found what you are looking for and will have a great time playing Apex Legends on your custom gaming PC.